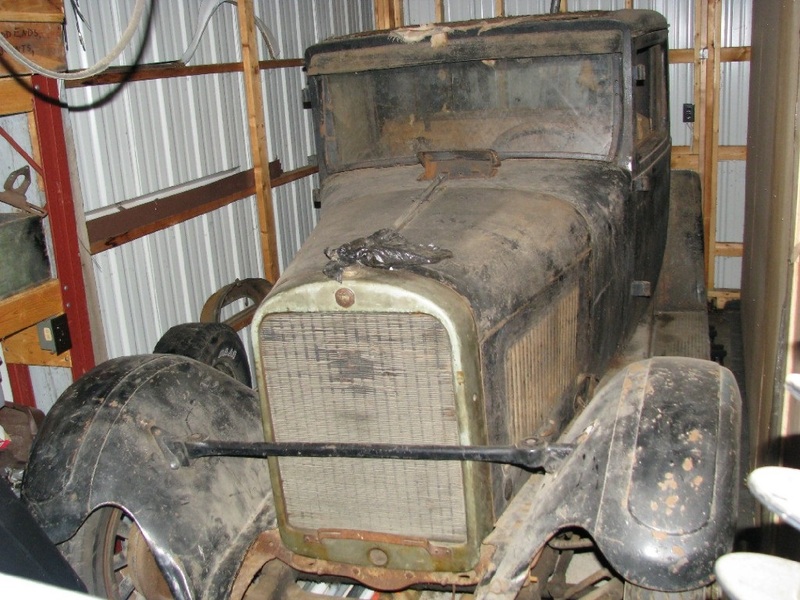 I've posted before with questions about my '28 coupe, but I feel that I'm now at a crossroads and could use some guidance. 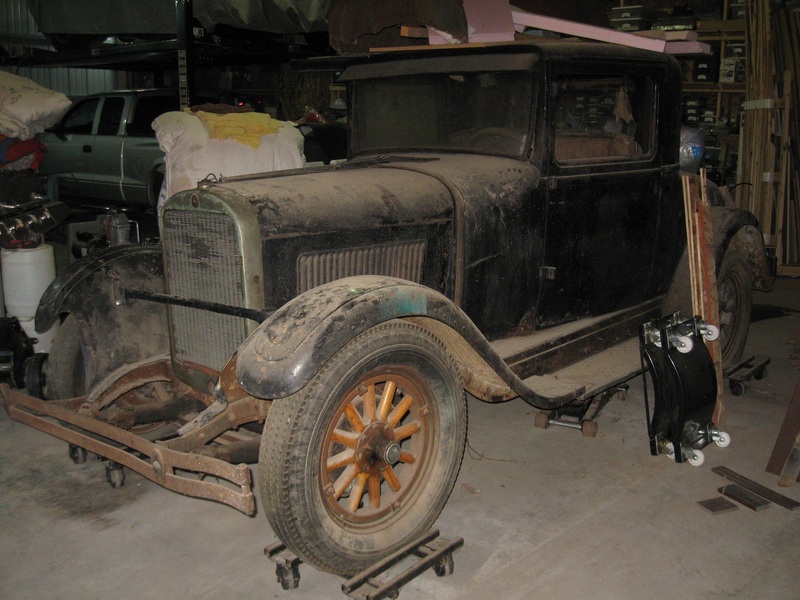 A number of years ago I picked up what I believe to be a 1928 Fast 4 3-window coupe. About the same time I landed a 1953 Chrysler hemi. Yep, you can see where my head was at the time - I planned on not completely hacking up the coupe, but building a mild driver. I recently built an engine test stand, mounted the hemi, and found that it runs great. I was furnished with no history of the engine when I purchased it, but it sure seems to run well, with no nasty smoking, etc. Come spring, the coupe comes out of storage, and a project of some sort will commence. The thing is, I'm feeling twangs of guilt about modifying the coupe with a modern V8 and juice brakes, but, as much as I like cars of the 20's, I have absolutely no interest in redoing one. So... if someone was interested in purchasing the coupe with intentions of restoring it as a Fast 4, I'd have no issue selling it and moving on to a different project with the hemi. It would, of course, be pointless to sell it to someone else with rodding intentions. At this point, I'd appreciate any feedback: is there much demand out there for a vehicle like this, ball park value, recommended selling method (not eBay), etc. Note: the trunk area had been cut out; I have a complete replacement rear section with deck lid (from CA) on hand. The interior is original (but shot). There is no engine or transmission. Dan, been following you posts on AACA. You have a fairly complete coupe that needs a little help. Fast Fours are not that common cars but there seems to be plenty of parts available for them. My feeling is you should put it back to what it was when built. The hemi is worth good money to hotrodders and would maybe fund your engine purchase. Or save it for another project. It would take a bunch of cutting to put an early hemi in this coupe. Measure the width of both the engine and engine bay. And the hemi might be twice the weight of the four. If plenty of parts are available, I must be doing something wrong in hunting them down. Over the last year or so I've been doing various searches - Google, eBay, etc. 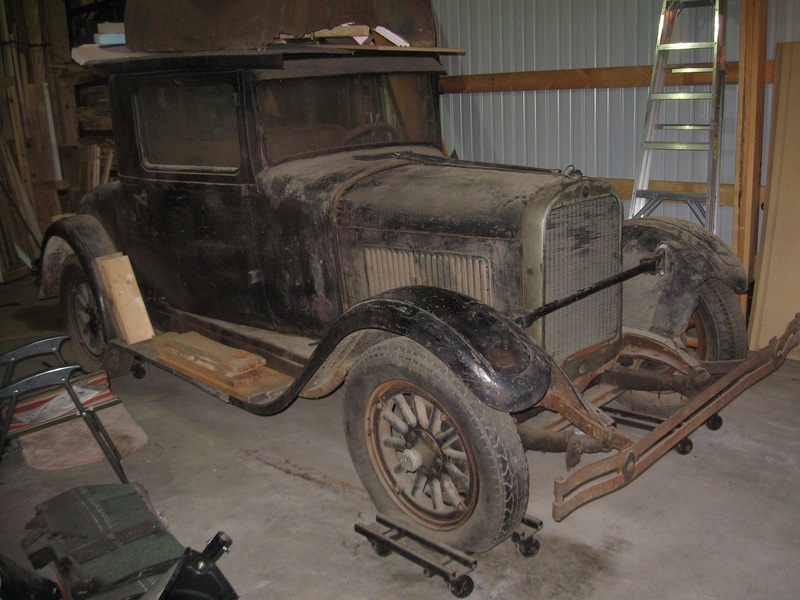 - and posted inquiries on several DB forums, and come up empty with two exceptions - the recent 1927 Fast 4 (mine is a '28), and another that was incomplete and would have cost me over $6,000 to purchase and get running (plus body, paint, other parts). I like these 20's DBs, and would love to get this one on the road in vintage form, but that's just too rich for my blood to bring it back to stock; thus my offer to pass it on to someone willing to make the needed investment in time and money. So far I haven't heard from anyone. I truly appreciate your feedback, and will continue my drive train search. In a few months, the coupe will be coming out of winter hibernation, and I'll have a decision to make. I can hook you up with a guy who has a fast four motor that is fairly complete (missing starter, and carb)and it turns freely. I have four spare transmissions from earlier cars, but i don't know if they are the same. Someone here should know, I do know the flywheel is different. I always end up like you, I dream of hotrods but all mine i've kept original, because i don't have the heart to cut them up. Id keep the coupe original she seems in nice shape. 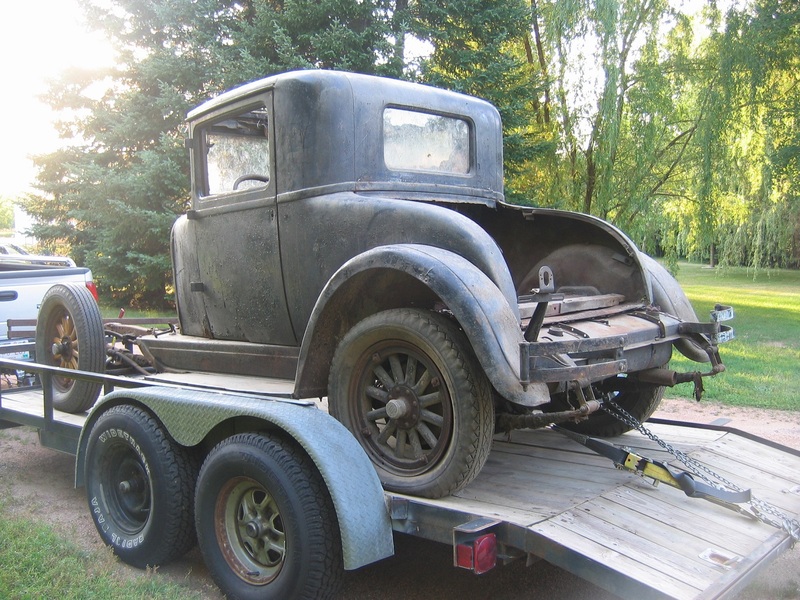 I just acquired a 1940 chevy coupe, and its time for me to take that leap. Hi, Rob. Thanks for responding. I'd appreciate being put in touch with the guy who has the fast four. My apprehension about going down that road: trying to round up all the bits and pieces it will take to get a complete running unit. But it's certainly worth checking into.